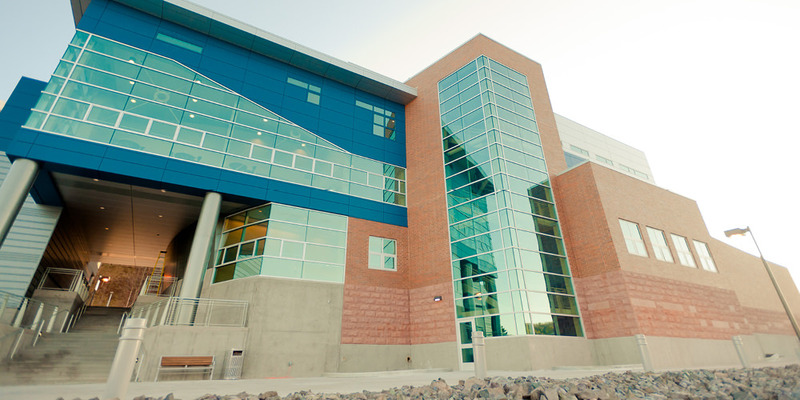 The Great Lakes Research Center (GLRC), was successfully completed in May 2012, and houses state-of the-art laboratories and classrooms supporting researchers and students working with Great Lakes biological, chemical and physical studies. The facility is designed and equipped to support instruction, experimental laboratories and outreach efforts. GLRC, located on a navigable waterway, contains aquatic research laboratories and coastal research instrumentation as well as a data center, offices and meeting rooms for extension/coordination activities. It also includes a research vessel maintenance and storage building as well as docks for deployment and mooring of research vessels. I am writing to express my sincere appreciation for the excellent work and the capable leadership that Granger Construction Company provided us in the construction of our newest landmark building: the Great Lakes Research Center. Your entire team meshed well with our architect and our organization — fully understanding and embracing goals that we set out to achieve with this project.